Post subject: Ellerbe a Philbin guy? I hope this is NOT true! And if it is i hope he leaves that in Baltimore. Post subject: Re: Ellerbe a Philbin guy? It doesn't matter if you're in Miami, New York, Los Angeles, Chicago, etc. If a player is going to find trouble, he'll find it. Ellerbe has had no off the field incidents to date. He's liked by his teammates and all indications were that he'd be staying in Baltimore. But the Dolphins had a fatter pocket book when it came time to make a deal. I think Ellerbe is going to be a good player for us. He works hard but he parties, so what? Just don't beat up your wife/GF, hire a driver, don't bring a gun into a club ETC. Basically use common sense young man even though it's not too common nowadays. Anthony - he just needs to make a "list" and stick to it. There ya go. I'm sure the media will go for the party excuse as the cool thing is to criticize every decision that Ireland makes. I mean, he hasn't been punished enough for the prostitute question even though he apologized ... and it's a question I would have asked myself. The Dolphins are attracting a lot of attention right now with their aggressive offseason. No doubt there are some people whose first inclination is to find fault. They seem to find fault with whatever the phins do or don't do. The team just need to win and shut all these folks up. 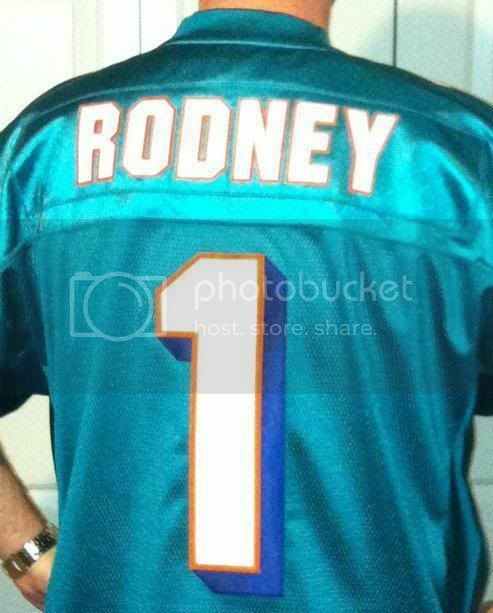 They will all jump on the bandwagon once the phins are winning again.